Kiehl's was a brand I had heard of but never even considered going in and asking for samples or demos. 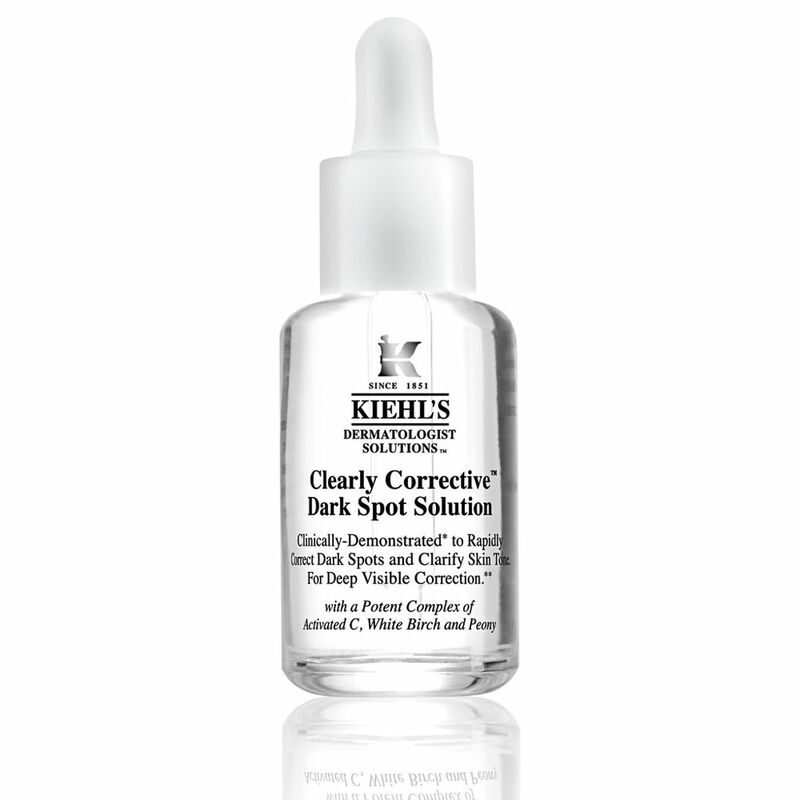 That was until I saw missglamorazzi on YouTube (http://www.youtube.com/user/missglamorazzi) talk about Kiehl's Clearly Corrective Dark Spot Solution and how she noticed a difference in one week. On the website says the product is supposed to do: “Clinically-Demonstrated* to Rapidly Help Reduce the Look of Dark Spots and Brighten Skin Tone”. I decided to get some samples when I stopped by a Kiehl's store because I do suffer from acne prone skin and typically my spots do fade into scarring. I know how self-conscious you can get when you have scarring/dark spots on your face especially when you’re as fair as I am. This product can also be used on your chest area and anywhere else that may have dark spots or acne scarring. 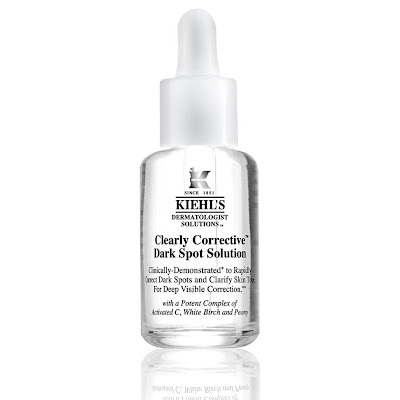 Picture taken directly from the Kiehl's website. The bottle is completely clear and super hard to photograph because of the writing on the back. I use this product morning and night following my toner and before my moisturizer and eye cream. You can put it on just on the dark spots but I prefer to layer it all over my face for brightness. I could not believe after 5 days of using samples how my dark spots were noticeably lighter, at least to my eyes they were. As soon as I could get to a Kiehl's store I went and purchased it for $52 CAD. You only need 2-3 drops for your entire face and so I know this product will last me a long time even when using it two times a day. Now I have been using it for a total of two weeks and I can’t imagine not using it. My skins appearance is brighter and more even overall and I have noticed my dark spots fading. I also think that it’s a good preventative for any other acne scars that could potentially develop. This products scent does not bother me.. I actually like it because I can smell a tiny bit of lavender which I love. This is a product I would recommend to anyone who suffers from dark spots, acne scarring and uneven skin tone. I think the price is amazing because I’ve spent tons of money trying to reduce acne scars from spa treatments and nothing has worked as well as this. There’s 30mL of product in the bottle and you barely need any to cover your whole face if you choose to use it that way. This is my new favourite product in my skincare routine and if you don’t own this product and suffer from dark spots/scarring you seriously need to go out and buy this product. I too have used this product for spot treatment. See quite an improvement. It is well worth it's weight in gold.